The beach is the definitely a default summer vacation! We all know that. 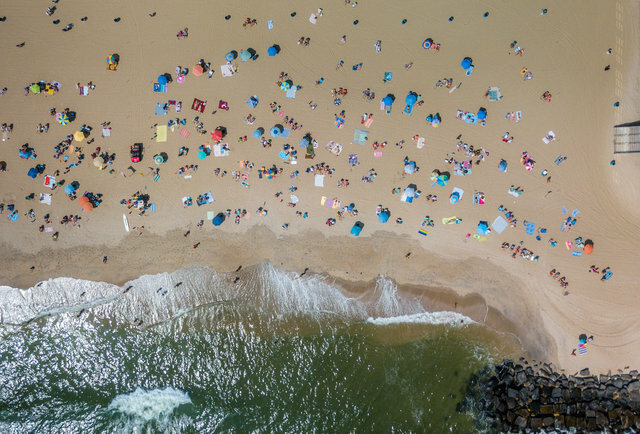 It doesn’t matter if you live in Oklahoma or Florida, for some reason summer’s long days and warm weather invite a day or a week somewhere near the coast. Start packing your bags and read our selection of the best beaches to spend your summer vacations in the US! 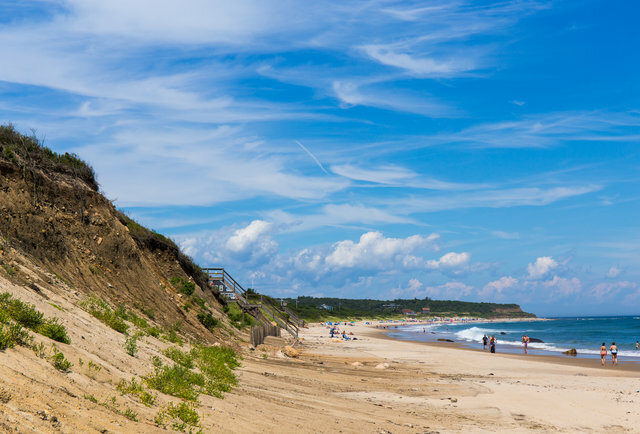 Block Island is one of the better surf spots in New England, with the waves off Mansion Beach rarely too crowded and fun for even inexperienced surfers. It’s all best explored by bike, with plenty of B&Bs and little restaurants to stop and explore before ending your day with a sunset over Charlestown Beach. 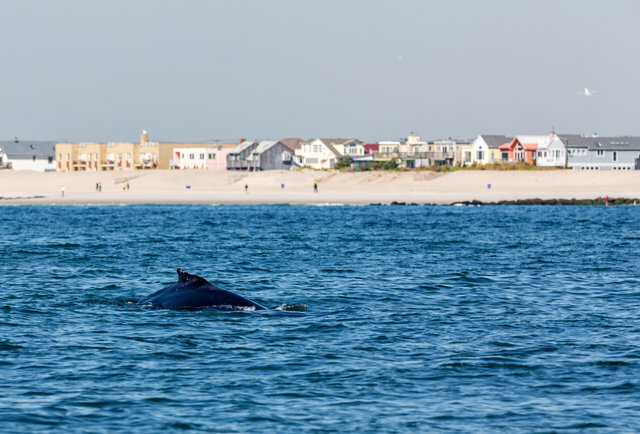 Located on the Atlantic Ocean just east of Brooklyn and Queens, you’ll find a 2.1-mile boardwalk running along soft white sand and deep blue water, making it hard to remember you’re a 45-minute train ride from Manhattan. Long Beach often gets ignored when discussing best northeastern beach towns, though the 5 miles of beach are lined with lively restaurants, bars, and surf shops. 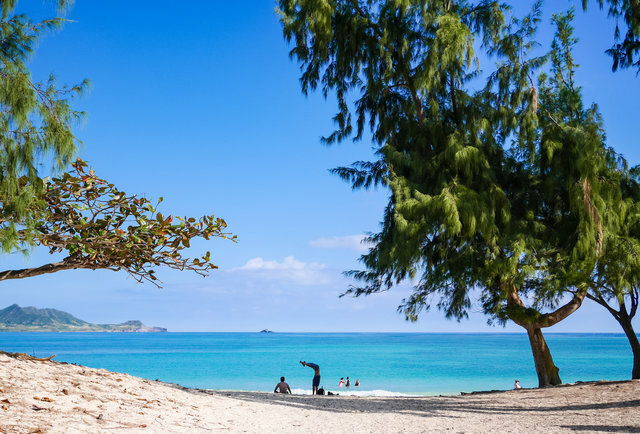 This beach park located near the Marine Corps base at Kaneohe Bay is an often-empty hidden paradise. The city around it is a quiet base-and-beach town, meaning you won’t find many tourists in a park geared more towards families than throngs of visitors. From the shoreline you’ll get all the white sand, deep blue Pacific water, and towering green mountains you’d expect in a Hawaiian vacation. The waves are relatively calm, making this 2.5-mile stretch perfect for kayaking and paddleboarding. Just do your best to try and fit in. Sombrero Beach is near Marathon at Mile Marker 50 on the Overseas Highway. The beach is often deserted during slow seasons, with nothing but you, the white sand, and the mangroves and palm trees aside the turquoise water of the Atlantic. The beach winds on for a bit, and if you’re keen on spending the day there you can see the sun rise from one side, then stroll to a rock formation down the beach for one of the best sunsets in the Keys at night. 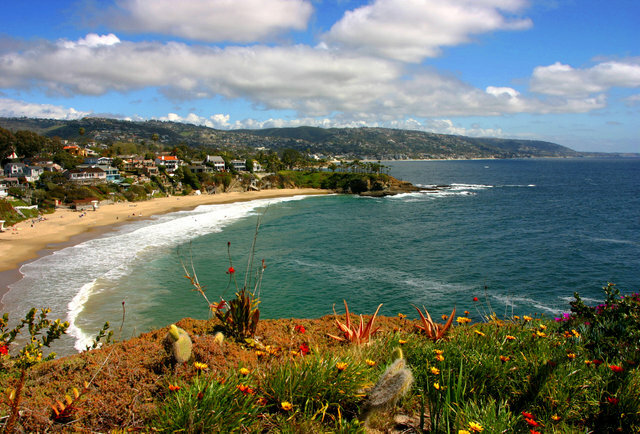 While spots like Newport and Laguna have gotten most of the OC love in Hollywood, Dana Point stays understated, even as it boasts the golden sand and crashing waves of your SoCal fantasies. Monarch Bay is the best, most secluded spot here, set at the foot of a private beach club but still open to the public. The bay gives visitors an enclosed feeling, like you’re in your own little cove of West Coast paradise. And while the surfing here isn’t as great as Orange County spots further north, the waves are still calming as you listen to them from the sand. 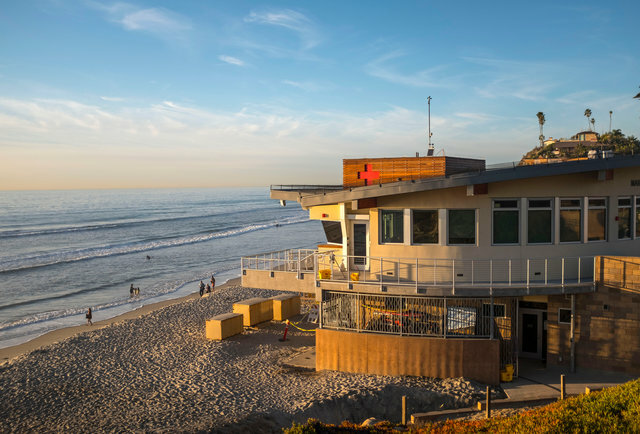 Moonlight Beach sits in the heart of a quintessential California beach town, where cool breezes blow through rows of tightly packed beach homes, and the ocean peeks out from every intersection. Park at the top of a bluff and head down to the beach, where you’ll find a soft, sandy bottom perfect for playing with kids, replete with an expansive playground with a mesmerizing ocean view and surprisingly smooth cement sidewalks, perfect for skating. 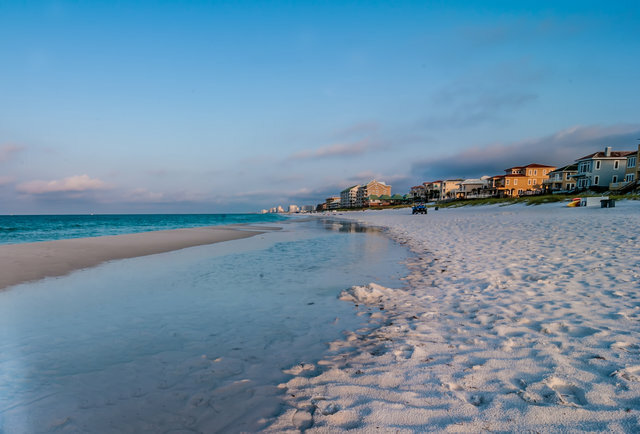 This 875-acre swath of pristine white sand is surrounded by Santa Rosa Sound, Choctawhatchee Bay, and the Gulf of Mexico and is devoid of any hotels, condos, or tacky souvenir stores. What it does have plenty of is unobstructed views of the ocean, and long empty stretches of beach if you catch it on the right day. It’s a bastion of serenity in the sometimes-hectic panhandle, complete with a quarter-mile-long fishing pier with plenty of room to commune with the water. 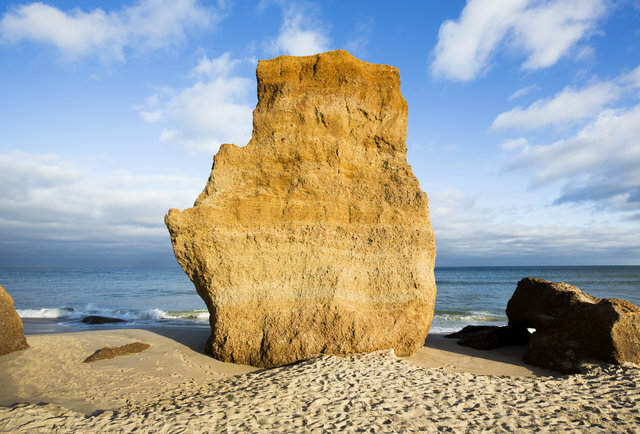 The huge boulders and trademark rock column make Lucy Vincent Beach seem a place a little more like the Pacific Northwest than New England, though erosion has taken its toll and scenery degrades a little every year. It’s a spectacular setting that’s also not usually jammed with tourists — just keep in mind, it’s typically only accessible by town permit during high season. 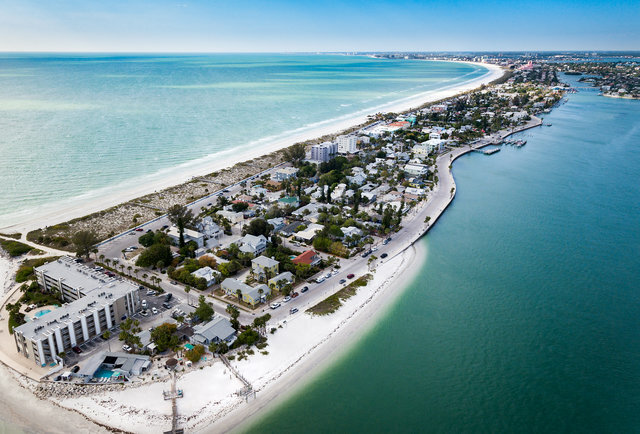 The historic little town boasts the longest strand of undeveloped public beach in the country, bordered on one side by the Gulf of Mexico and the other by Intracoastal Waterway. Waves here are small, and the scene is about as calming as you’ll find anywhere outside a state park in Florida. Beyond the sand, the streets across the sea grass form a charming historic district full of ice cream shops, restaurants, and funky boutiques. Got any travel tips? Share them in the comments below!